Breen is particularly interested in the balance writers strike between their individual experience and connecting to an audience through universal themes. 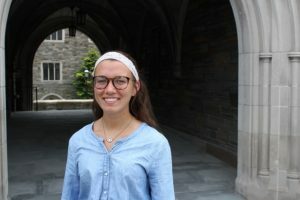 Erin Breen ’19 does not hesitate when asked about the goal of her Summer Scholars project: “I want to publish a book,” she says. 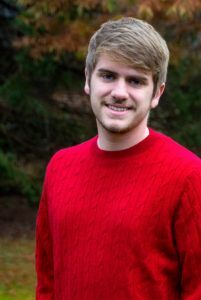 A veteran of the program, Breen is writing a series of creative nonfiction essays this summer that explore the intersection of spirituality and the literary. As an English and theology major, she finds her faith comes into everything she does — but especially in writing. To inspire her creative energy, Breen is reading a number of spiritual creative nonfiction authors, as well as experts outside the genre, such as C.S. Lewis, Pádaig ó Tuama and Gillian Flynn, to learn how writers utilize literary techniques to document their faith journeys. She says she is particularly interested in the balance writers strike between their individual experience and connecting to an audience through universal themes. 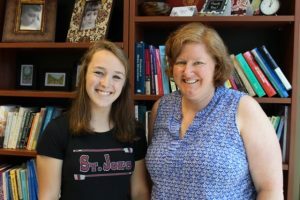 “What are the universal elements of spirituality that can be explored in personal writing, in creative nonfiction, and what techniques and styles do so?” asks Breen, who is working under the mentorship of Jenny Spinner, Ph.D., associate professor of English and director of the Writing Center at SJU. Breen’s project was born out of Spinner’s undergraduate English course in creative nonfiction. 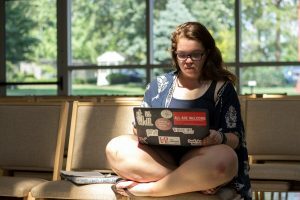 This summer, Breen also strives to develop her own literary voice — in her literary essays, as well as in journalism. She flexed her writing and reporting skills in South Africa with Saint Joseph’s summer journalism program. Under the supervision of Shenid Bhayroo, Ph.D., assistant professor of English, and Spinner, the cohort of 8 budding journalists researched, developed and reported on interesting stories throughout Johannesburg, Cape Town, Rosendal and Pilanesberg, and chronicled their storytelling in The Hawk. Breen interviewed refugees receiving support from the Jesuit Refugee Services in Johannesburg and Gail Millard, owner of the Bounty Hunters Charity Shop, who rescues stray cats. With the cost of higher education reaching record heights, student loan debt and repayment has become a national conversation. Previously a music major, Charles Gallagher ’19 (pictured) sought out economics, because he feels that it provides more opportunities to apply his passion for problem-solving to help others. 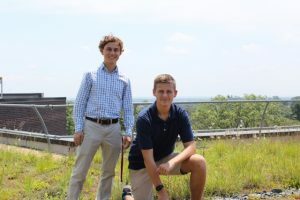 Charles Gallagher ’19 has dedicated his summer to researching the relationship between student loans and the behavior of recent college graduates in the job market with the Summer Scholars Program. While there has been extensive research on students’ ability to pay back their loans, Gallagher has decided to focus on how the financial burden of loans affects the job market behavior of students once they’ve graduated. With the aid of the Education Longitudinal Study of 2002 from the National Center for Education Statistics, Gallagher’s research is based on a survey of 2,400 of graduates who obtained their undergraduate degree within six years of graduating from high school. Gallagher’s credits his mentor, Laura Crispin Ph.D., associate professor of economics, as the largest influence on his decision to pursue this specific topic. “This is an important topic because, while many people have first-hand experience with college debt, there is very limited research about how taking on college debt may affect individuals in their early job prospects,” says Crispin. Due to the pressing relevance of his topic, Gallagher plans to continue his research throughout the school year. Ideally, the relationships found through this project will enable Gallagher to present his findings at conferences and spark policy changes regarding repayment. When a politician says or does something you don’t like; what do you do? You rush to your favorite social media site armed with your passion and wit, of course! Perhaps you may take a moment before posting: Karleigh Lopez Summer Scholar project, which studies humor and incivility on mass media and their effect on society, might change your mind. Lopez, a communication studies major from Shamong, New Jersey, is exploring the role of on social media as a response to significant newsworthy events and the extent to which it is marked by politeness or discourtesy. More specifically, she is exploring the reaction across the political spectrum to President Trump’s (June 1 2017) announcement that the United States’ would withdraw from the Paris Agreement on climate change. From about two weeks since the date that it was announced, Lopez and her mentor began to study tweets, using programs like TAGS (Twitter Analytics Google Sheets), Tableau, and NVivo to search positive and negative key terms, such as “amazing,” or “poor.” In addition to looking at reactions from everyday people, Lopez scans celebrity responses and tallies retweets from new sources. She analyzes whether the posts use humor that is merely humorous vs. humor that crossed the line into incivility. Lopez met her mentor,Ken Weidner, Ph.D., assistant professor of management, while taking LEO 150, Serious Comedy and Social Justice. Her interest in the topic led her to observe the effect of mass media on the political climate in the past year. From there, she created her Summer Scholars project. Lopez hopes to publish her work in an academic journal, or write an op-ed article on her findings. She says that having an opportunity to read about social media, politics and egoism is helping her to understand the political climate and how modern media affects our way of thinking. Lopez is a member of the Honors program and Phi Sigma Phi Honors Fraternity. 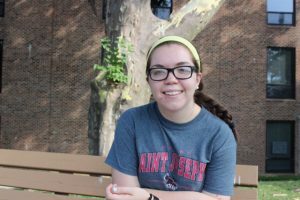 She is on the SJU cheerleading teaming and is an opinions writer for the student newspaper, The Hawk. 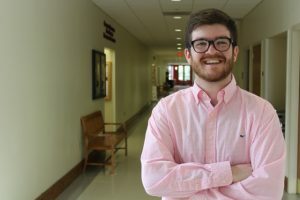 Jacob Diehl ’18 , a managing human capital and leadership, ethics and organizational sustainability double major, has always strived to exemplify Jesuit ideals, from his work in iSJU, which introduces incoming freshman to Jesuit Education, to his community service trips like APEX and PSIP. He wanted his Summer Scholars project to reflect his values, which is why he is spending his summer examining the issues that men face in reentering the workforce after incarceration. “The main focus of my research will be the stigmatization that these men face and the factors that lead to employment discrimination,” says Diehl. Just one of the ideas that Diehl has for his project is creating a form that will display what opportunities are available. He also wants to study the discrepancies between the available spaces in Philadelphia re-entry assistance programs and the number of men who apply to those them. “If society views these men as criminals, rather than people, even after they serve their sentences, then their views of themselves and what they can achieve are compromised,” says Diehl. His research includes about 10 interviews with men reentering the workplace, to whom Diehl has reached out through professors at SJU. He will ask them to relate their stories through a personal memoir-type dialogue. Diehl became interested in this topic after attending a workforce diversity class taught by his faculty mentor and advisor, Eric Patton’s, Ph.D., chair and associate professor of management. Patton has studied those with psychological issues in the workplace and assists Diehl in the interview process. Diehl wants to understand how this process affects ex-offenders as individuals, rather than as a collective unit. Diehl hopes to contact Women’s Law Project, a website that has a re-entry forum for women. From there, he wishes to either create a similar forum for men or use his research to spread awareness. “Someone needs to listen to these men who are re-entering, in order to value their journey and the issues that they face, as they rejoin society,” he says. 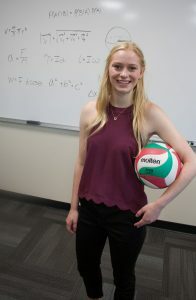 A psychology major with a Spanish minor, Martinie will interview children ages eight and up about how they think about moral and conventional norms in theoretical peer-group interactions at her hometown YMCA in Jennersville, Pennsylvania. She will read stories to them and then ask about certain characters’ actions and how the children feel the characters should act, and why. She hopes to understand how deeply children consider gender norms and whether or not there are gender differences in their reactions. 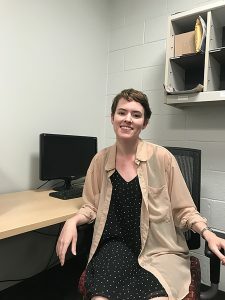 Martinie says she discovered this line of research after taking the developmental psychology and research methods class with her Summer Scholars mentor, Clare Conry-Murray, Ph.D., an assistant professor of psychology. Conry-Murray has conducted research based on gendered toys and their effect on children’s perception of gender and its role in peer-interactions. She found that children do not recognize unequal opportunities available to boys and girls. 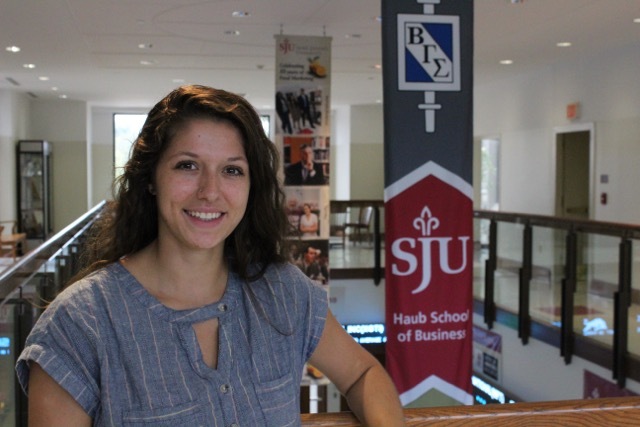 Martinie is interested in continuing her research in SJU’s five-year M.S. program in psychology. She hopes to pursue a career as an experimental psychologist. Martinie is a varsity rower, and is a member of Psi Chi, the Psychology Honors Society. She has also earned a spot on the Atlantic 10 Commissioner’s Honor Roll all four semesters that she has attended SJU.